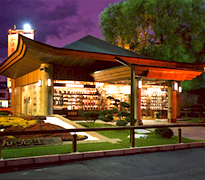 In the 48 years since its establishment, NIHONDO has taken a distinctly unique path, organizing a new type of business operation, the KAMPO COUNSELING PHARMACY, based upon an independently established system of kampo remedial learning, the "study of self-curing by great nature". We provide complete beauty and aging care using a combination of Kampo and Aromatherapy, simultaneously treating the inside and outside of the body. Our Natural Kampo Beauty Brand supports the healthy appearance that radiates from a healthy body. By making Kampo familiar and modern, we provide and promote a comprehensive "Kampo Health Lifestyle" as a means to a productive and enjoyable life. 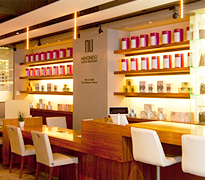 We offer many Kampo-based products and in-person services to help you reach your personal goals. The human body has a natural capacity for rejuvenation. Caring for oneself through a healthy lifestyle is crucial to maintaining the immune system and assuring effective recovery from illness. At the Kampo Pharmacy we offer support, instructions, and medicine to keep your health at its maximum potential. 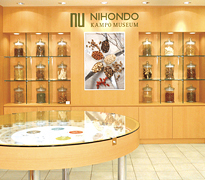 NIHONDO KAMPO MUSEUM is the world's first museum dedicated solely to Japanese kampo medicine. Look, touch, listen, and experience the world of camp through all senses. Discover Kampo's history, explore the philosophies, and immerse yourself in this one-of-kind, hands-on museum. The goal of Nihondo Kanpo School is to improve your personal ability to live a Kampo Healthy Lifestyle through education. In classes by taught by our qualified professionals you will learn treatments, theory, and wellness activities you can apply in your daily routine. 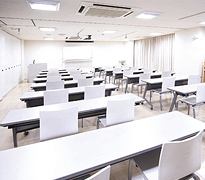 There are many courses on a wide range of topics, from one-day seminars to qualification courses to become an "Kampo Stylist." These courses will allow you to better understand and appreciate the underlying ideas and philosophy of a Kampo Health Lifestyle. 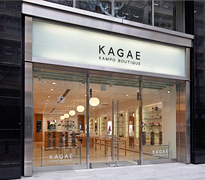 We collaborate with several companies to develop new products derived from ancient kampo theory and medicine. 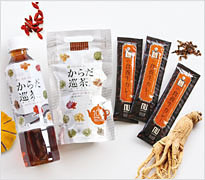 These include "Karada-Meguri-cha"(Body Circulation Tea), a perennially popular blended tea produced in collaboration with Coca-Cola(Japan)Co., along with "Shoku-Yojo Curry"(Healthcare Curry) in collaboration with Morishita Jintan Co. Ltd. We also develop and sell many in-house products, unique to the Nihondo brand.